Dr. Thomas Rea, a dermatologist who helped develop treatments that ended the threat of leprosy in the developed world, has died at 86. 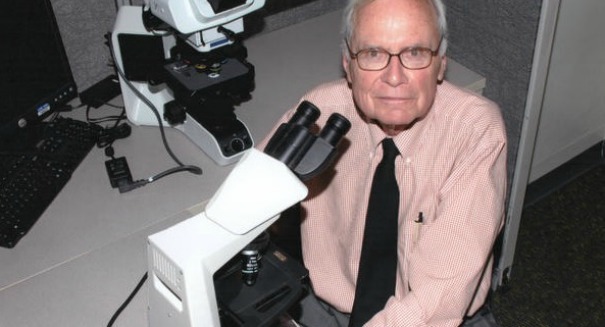 Dermatologist Dr. Thomas Rea, whose research led to groundbreaking treatments for leprosy, has died at the age of 86. Also known as Hansen’s disease, leprosy has plagued mankind for thousands of years. It was Rea who was able to explain the connection of the disease and the immune system in a way that led to treatments that ended the threat of leprosy in developed areas, according to a Los Angeles Times report. Rea died at his home in California in Feb. 7. He had been battling cancer in his final days. Rea, along with Dr. Robert Modlin, were able to pioneer new treatments that kept the disease from being contagious and also allowed those who suffered from it to live relatively normal lives, according to the report. Before that, the disease had basically been untreatable. It was an incredible feat for Rea and Modlin: almost overnight they were able to turn a deadly disease like leprosy into an entirely treatable and manageable illness. Rea had headed up the dermatology division at the University of Southern California between 1981 and 1996. He continued to work at the Hansen’s disease clinic at the Los Angeles County-USC Medical Center right up until his death. It was named for Rea last year. Rea worked to fight the stigma against leprosy patients, even shaking their hands with no gloves on to show that they could get better. He did whatever he could to allow them to live normally, according to the report. Rea is survived by his 51-year-old wife Mary, two sons, and four grandchildren.